The influence of climate change on body size of birds and other living things was the topic of a major review article this month in Nature Climate Change, and concluded that this effect could have implications for biodiversity loss. 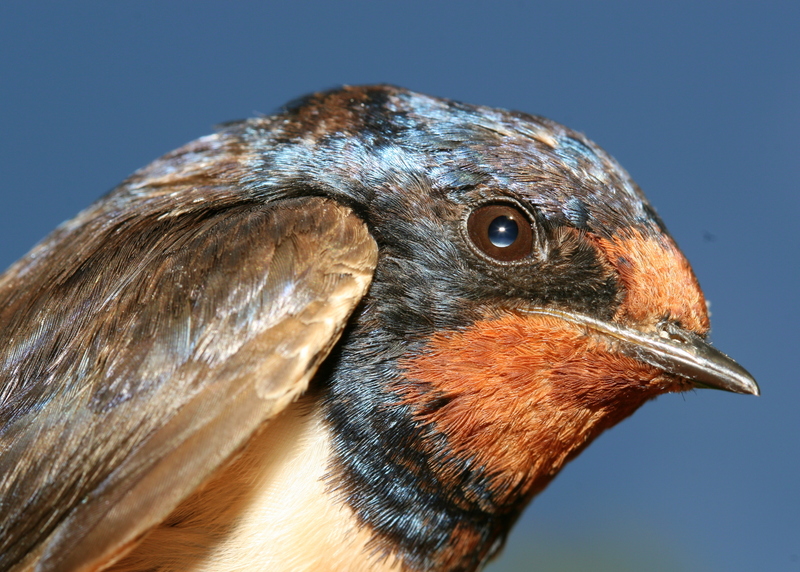 Barn swallows are among the species that have shown decreases in wing size or body size in recent decades. Image © Cagan Sekercioglu. The article brings together research linking decreases in size to ongoing climate change in a wide variety of birds, mammals, amphibians, reptiles and plants, and mammals. This includes studies showing how the body size or wing length has shrunk in birds including passerines, goshawks and gulls in association with temperature increases over the past 50 years. In Winged Sentinels we also covered these changes in birds, including a study by van Buskirk et al. that looked at almost half a million birds from 102 species. It found that many birds, mainly songbirds, had shown steady reductions in body mass and wing chord length from 1961-2007, and that this effect was stronger where regional temperatures were higher the previous year. Interestingly, the Nature Climate Change article authors, Jennifer Sheridan and David Bickford of the National University of Singapore, also describe fossil evidence that shows how both land and marine organisms became smaller during past periods of global warming. And they show how these observations are backed up by recent experiments that demonstrate, for example, that body size of fish decreases by between 6 and 22 % with each degree of warming. Living things may be shrinking for diverse reasons, the authors say, but they expect limits on water and nutrients to play the strongest role, and, for cold-blooded (ectothermic) organisms, changes in their metabolic rates. The article also warns of potential problems created by smaller size. As the oceans acidify, the growth rate of plankton slows. This could have sweeping effects, since plankton underpin the entire marine food web. Problems could also arise because different life forms are likely to respond to temperature or rainfall changes in different ways or by varying degrees. Some species may, for example, actually become larger with warming, an effect more likely to be seen at higher latitudes. Ultimately, these varied responses could affect how ecosystems function. Sheridan and Bickford warn that we need to understand these trends better to avert the biodiversity losses that will probably results as many living things become smaller.